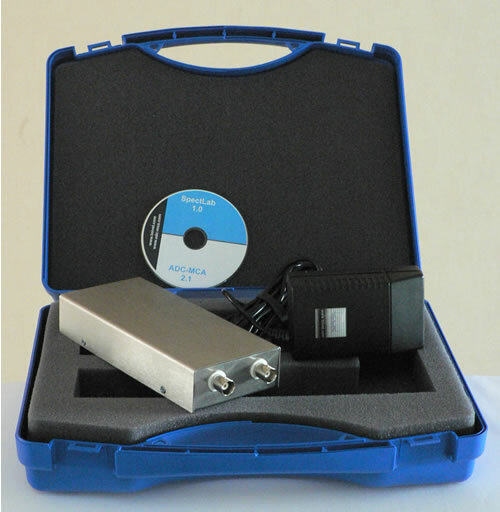 ADC/MCA is a fast pulse height analysis analog-to-digital converter (PHA ADC) with integrated Multichannel Analyzer. The ADC has a fixed conversion time of 390ns and incorporates a special differential non-linearity (DNL) improvement circuit. Automatic peak detection ensures stable operation at different shaping times. Integrated multichannel analyzer (MCA) is capable of capturing 1k, 2k, 4k and 8k spectra. It also has a MCS (Multi-Channel Scaler) alternate functionality. This functionality is software enabled/disabled and uses the same analog input for pulse counting. Two main ADC/MCA modifications are available - stand alone device, powered by line adapter and OEM kit - ideal for integration into custom-made equipment. In addition to this, a number of standard connectivity choices exist - USB, Ethernet and RS232. This high-performance Multichannel Analyzer system is ideally suited for high count rate capable Silicon Drift Detectors. In addition to high performance hardware, a simple to use MS Windows based Analysis Software is available. Multichannel Analyzer - Analog Digital Converter - stand alone device. 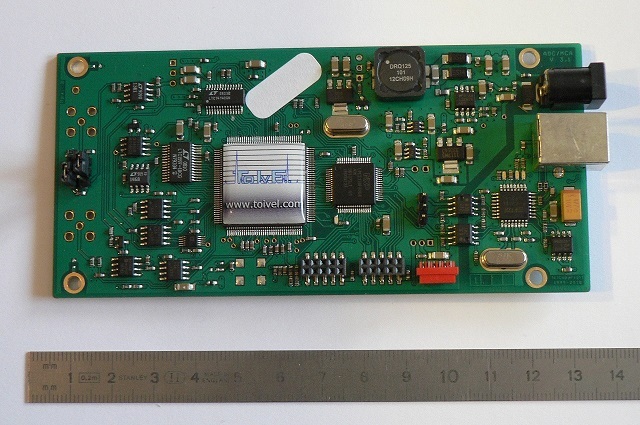 Multichannel Analyzer - Analog Digital Converter - OEM version.